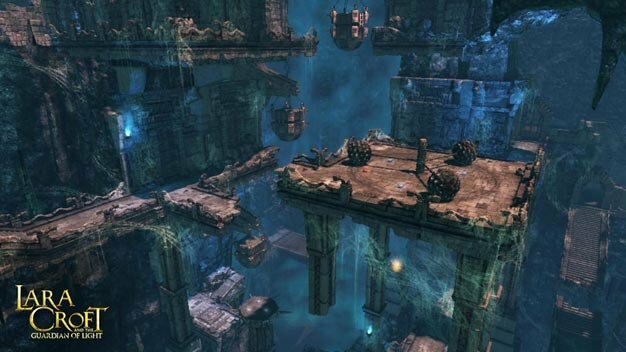 We rather fancy Crystal Dynamic’s definition of “very soon”; after promising it earlier in the week, the developer’s now released a patch via Steam that adds the awaited layer of online cooperative play to the PC version of Lara Croft and the Guardian of Light. At last, everyone’s good to go: the PS3 version got the update few days ago while Xbox 360 players have been covered for over a month. The PC update also brings improved controls (for both kb+m and gamepad), performance/stability tweaks, and “audio and visual polish.” Worth a download any way you slice it then. Next up, a slew of (delayed) DLC. Those on Xbox 360 can still grab the first add-on, All the Trappings, for free this week. Best hurry.